Energic Motobineuse engine supplier Minarelli. 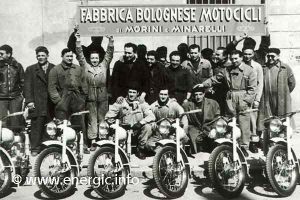 Minarelli was founded in the Italian city of Bologna in 1951 as a motorcycle manufacturer, when Vittorio Minarelli and Franco Morini founded a company named Fabbrica Bolognese Motori (F.B.M.). The company’s first products were complete motorcycles, among which was the original Gabbiano (125 cc) with a 2-stroke horizontal single-cylinder engine and the 200 cc 4-stroke Vampir, with 4 speeds and able to reach 110 km/h. In 1954 the company began to produce 48 cc moped engines in addition to motorcycles. In 1956 F.B.M. gave up its motorcycle production and focused full-time on the production of 2-stroke moped and motorcycle engines. The two partners split up in the same year and Vittorio Minarelli founded F.B. Minarelli in a 2.000 sqm area where, with twenty mechanics, the daily output of up to 70 engines between agricultural and road destinations was reached. The engines left Bologna to Italy, Europe and Latin America. In 1967 the company changed its name to Motori Minarelli and opened a new manufacturing plant at Lippo di Calderara di Reno. By the mid 1970’s Minarelli’s engine production reached 250,000 units a year. 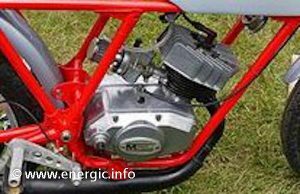 It was also in the 70’s that Motori Minarelli machines began to win a long string of titles in motorcycle racing, including four manufacturer titles Minarelli. 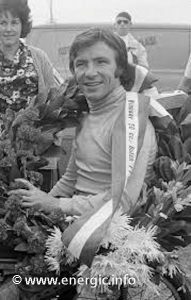 Infact they won 2 world championships at the 125cc level with Spanish rider Angel Nieto in 1979 and 1981. Among the titles from this period are some world speed records still unbeaten. 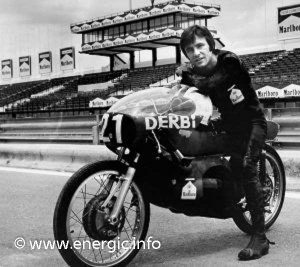 Energic Motobineuse engine supplierMinarelli with Angel Nieto world cjhampion 1979/80 @125cc. 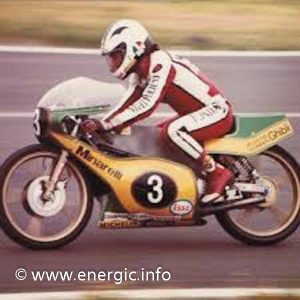 Energic Motobineuse engine supplierMinarelli with Angel Nieto world cjhampion. 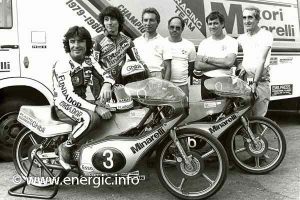 Energic Motobineuse engine supplier Minarelli with Angel Nieto world champion 1979/80 @ 125cc. In 1990 Motori Minarelli began manufacturing scooter engines. this was a production collaboration with the Japanese Yamaha, in addition to the existing 50 cc and 125 cc motorcycle engines. The success of this venture soon published Motori Minarelli’s production levels past the record levels of the boom years in the 70s. By 1995, yearly production reached 410.000 units and the company employed 350 people. A period of growth and big new investment spread to all areas of the company’s operations. Motori Minarelli succeeded in winning supply agreements with MBK and Yamaha Motor España and also with several brands such as Aprilia, Malaguti, Betamotor, Rieju and more. The motocycle market has lately undergone a remarkable fall due to the competition of developing countries, the saturation of the 50 cc scooters market and the European economic situation; Motori Minarelli has been striving to vary its products range launching the production of 4-stroke engines of bigger capacities (125/180/250/270 cc for scooters and 660 cc 4-valves with fuel injection for motorcycles). In 2002 Motori Minarelli became part of the Yamaha Group. Read more about Energic Motobineuse Rubis with Briggs & Stratton engine/moteur here. Read more about Energic Motofaucheuse Etoile B&S 147 with Briggs & Stratton engine/moteur here. Read more about Energic engine/moteur supplier Lombardini here. Read more about Energic engine/moteur supplier ILO here.